The stamps I used were Melanie's Pressed Flowers (Gina K Designs). I also had to use some of the new Gina K ink and paper. 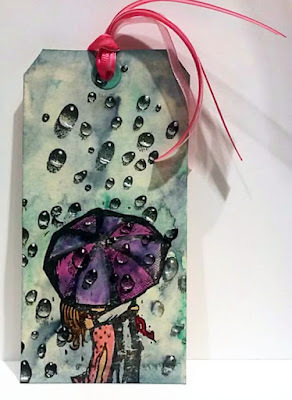 I used Dusty Rose ink and paper and Jelly Bean Green ink and paper.The sentiment "Smile" is a canvas embellishment from an incentive package and ribbon from my stash. I stamped the flowers on the tissue paper then crumbled it and glued onto a card front (leaving in the wrinkles). Using a word stencil I added some pearlescent texture paste and distressed the edges. I did this card for the Mod Squad Challenge this week, Water or Sky. 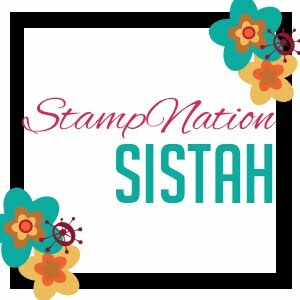 Kitchen Sink Stamps is the sponsor. 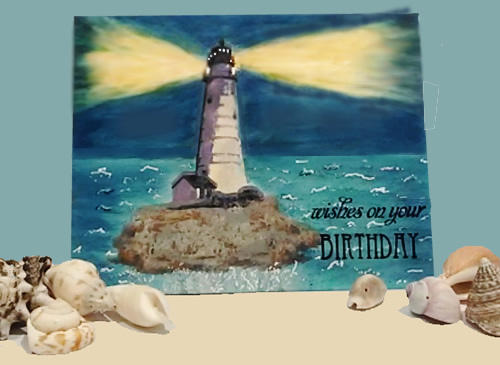 I used the lighthouse image and rock and sentiment from KSS multi-step lighthouse. I used glossy cardstock for this and layered the ink colors. For the lighthouse I used the color recipe from KSS website. These stamps are so easy to line up...I am impressed! White highlights added with a malfunctioning Signo gel pen. I made this card for a friend that hasn't been feeling well. The background is done using Brusho crystals on Strathmore watercolor paper. 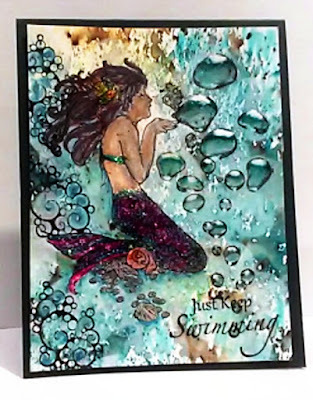 I used Versamark to stamp the images, The mermaid is from Stampendous and the water drops and swirls are from Designs By Ryn. The sentiment is from By The Sea (Gina K). I colored the mermaid with Zig Watercolor pens and added Stickles to the legs. I added white highlights to the bubbles with Copic white and a paint brush. 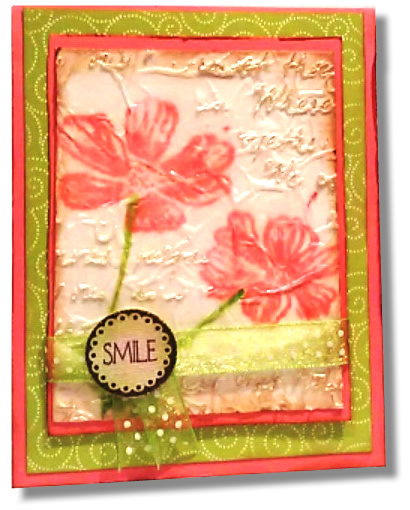 I have been playing with my "Water Effects 1" stamp set from Designs By Ryn. She is sponsoring a couple of challenges at the Mod Squad Challenge. The first one is past but she will be sponsoring again on August 12 with a set of "Flowers" as the prize for a RANDOM winner! These are really high quality rubber stamps...I love them. The background was Brushos remains, LOL from an experiment I made using Yupo paper. I just pressed a manilla tag into the run off from the Yupo paper. I didn't care for the muted look until I realized it would be a great rainy sky. I added white gel pen dots and Wink Of Stella to the rain drops. I made this card for THE MOD SQUAD CHALLENGE. The challenge is to use Pattern Paper. 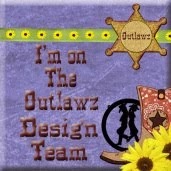 The prize this week is a grab bag from Gina K Designs so I know you want to participate. 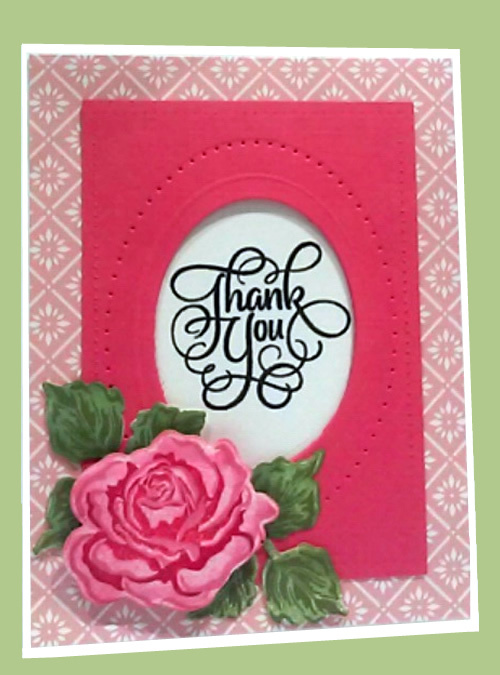 I used the Flowers And Frames StampTV kit. I did the Rose with all 3 of the larger stamps. The lightest color is Bubblegum Pink, mid tone is Bubblegum Pink stamped 2 times and the darkest is Passionate Pink. The pattern paper is from the kit. Copyright Paper Finesse 2014, All Rights Reserved. Theme images by gaffera. Powered by Blogger.